The Electrophon (1921), Sphäraphon(1924), kurbelsphärophon (1926), Klaviatursphäraphon(1928), Partiturophon (1930) and Kaleidophon(1939). Jörg Mager, Germany. Jörg Mager’s lifelong fascination with micro-tonal music began accidentally during the hot summer of 1911 when he heard an out of tune organ playing notes beyond the fixed tempered scale. Fascinated by the instruments strange sounds he began to explore the concepts of half and quarter tone music which he eventually self-published in his ‘ Vierteltonmusik’ of 1915. 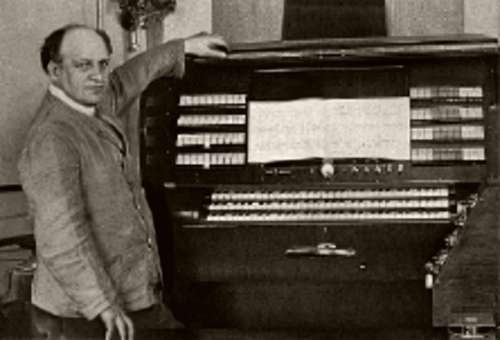 At the same time he began to design an instrument that was capable of delivering micro-tonal and quarter tone scales, the first of which was an acoustic harmonium, the ‘Vierteltonharmonium’ (Four-Tone harmonium) in 1912. After his participation in the failed 1918 communist coup in Bavaria, Mager left for Berlin. Here he joined a small circle of microtonal musicians (Mager, Alois Hába, Richard Stein, Ivan Wischnegradsky ) under the wing of renowned composer and theorist Ferruci Bussoni. This circle of musicians were united in their aim to liberate music from the tyranny of fixed-tonality, however, rather than adapt existing instruments, Mager decided to create an entirely new instrument based on the emerging radio technology of the time. To survive in post WW1 hyper-inflationary Berlin, Mager accepted any unskilled labour he could find. It was while working in a radio vacuum tube factory that he hit upon the idea of using vacuum tubes as the basis for his first electronic microtonal instrument, the Electrophon in 1921. 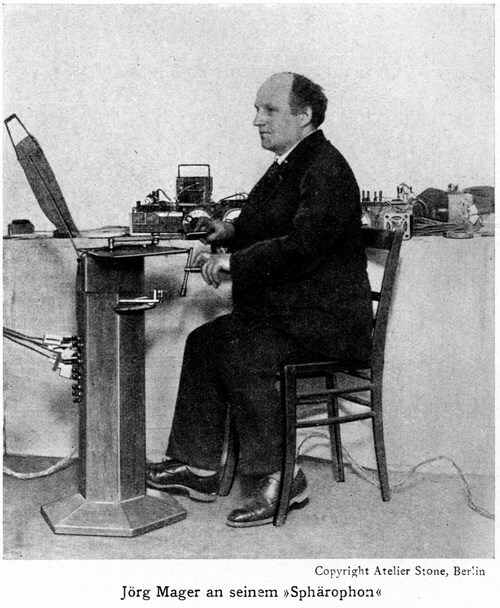 The Electrophon was a simple monophonic instrument based on the same heterodyne principal as that of the Theremin; a method by which two frequencies are combined within the radio frequency spectrum (not perceptible by the human ear) to produce a third frequency that is equal to the difference between the latter two frequencies and that itself is within the audible spectrum humans. In case of Electrophon two 50 Khz frequency oscillators were used. The novel feature of the Electrophon was that rather than being controlled by a fixed tone manual, notes were instead triggered by rotating a metal handle, creating a glissando type effect on a continuous tone. Under the handle was a semicircular plate marked with chromatic scale intervals. Changes in timbre could be applied through various filters. Further developments of the Electrophon were christened the Sphärophon after the Pythagorean legend of the music of the spheres. Further developments of the Sphärophon lead to the kurbelsphärophon unveiled at the 1926 Donaueschingen summer music festival (alongside Leon Termen’s Theremin). This adaptation added a second manual dial that allowed the player to interrupt the instrument’s continuous output and avoid the continuous glissando of the Sphärophon by queuing up another note and added two pedals to control each note’s volume and envelope. Though mostly ignored at the time, Mager’s instrument quickly gained notoriety throughout Germany; the composer Georgy Rimsky-Korsakov (Grandson of the Russian composer) composed some quarter-tone experimental pieces and Paul Hindemith enthusiastically endorsed Mager’s instrument. This support lead to the the formation in 1929 of the ‘Studiengesellschaft für Elektro Akustische Musik’ (‘Society for Electro-acoustic Music) in Darmstadt to support his research (funded by the city of Darmstadt, the Heinrich Hertz Institut für Schwingungsforschung and the Reichsrundfunk radio station) . The society was housed in a large, luxurious castle in Darmstadt and staffed with skilled technicians including the future electronic instrument designer Oskar Vierling. With this resource at his disposal Mager continued to develop his instrument design, creating the Klaviatursphäraphon in 1928. 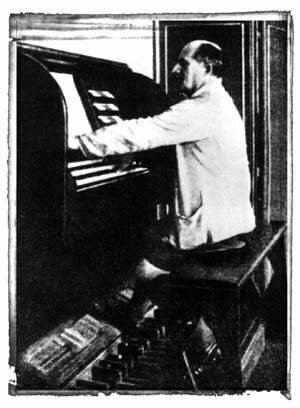 In this model he replaced the handles of the Kurbelsphäraphon with two short keyed monophonic keyboards – the shorter keys allowing the player to play both keyboards simultaneously thereby producing a duophonic tone. It was also possible by adjusting the capacitance of the sound generating circuit to alter the intervals between each key and scale the acoustic length of the keyboard. An octave could be made as small as a major second, so that each successive step represented an interval of a 12th tone. Additional tone colour was added by mechanical resonators, series of filters and specially formed resonant speakers. 1932 marked the high point of Mager’s success. He had become a household name in Germany and received commissions, from Winifred Wagner herself, to provide the sound effects for the annual Beyreuth Wagner festival, and he was also commissioned to mark the centenary of Gothe’s death with a micro-tonal piece for thirty theatrical interpretations of drama Faust , which took place in Frankfurt and Darmstadt. Other plaudits came from composers and conductors Arturo Toscanini and Wilhelm Furtwängler , the latter the director of the orchestral interpretation of Parsifal in 1931. Yet this success was short lived. 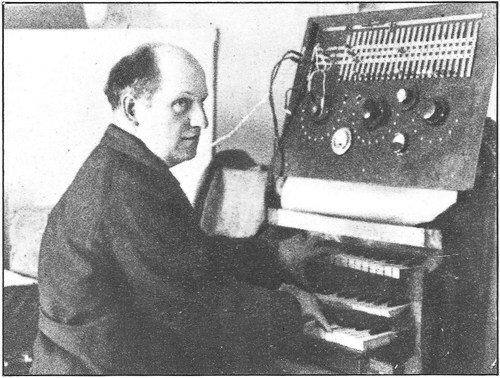 A new electronic instrument had emerged in 1930; Dr Friedrich Trautwien’s ‘Trautonioum’. In contrast to Mager’s amateur enthusiasm, Trautwien was a trained engineer and managed to produce an instrument that was both novel, reliable and wasn’t shackled by the complexity of Mager’s devotion to micro-tonality. The final blow to Mager came in 1933 when Hitler’s National Socialists took power. Experimental music was labelled ‘Entartete’ or ‘degenerate’ and un-German; the great flowering of German musical innovation had come to an abrupt end. Mager tried to ingratiate himself into the new party “to get on the gravy train” but became increasingly paranoid and irritable, driving away many of his collaborators and supporters. In the struggle to develop the Partiturophon as a commercial domestic instrument, the contract for the ‘Studiengesellschaft für Elektro Akustische Musik’ lapsed and funding dried up. Mager spent the rest of his life leading an impoverished semi-nomadic existence. His state of health was increasingly precarious due to diabetes and growing disorientation and mental confusion. His daughter Sofie, brought him back to Aschaffenburg, where he died on April 5, 1939, at the age of 59.
spite the oppressive new political climate, Mager was commissioned to create sound effects with the Partiturophon in the 1936 film “Stärker Paragraphen als” by Jürgen von Alten , with music by Rudolf Perak. Mager’s instruments ultimately failed because of, on one hand, Mager’s single minded devotion to microtonality which had virtually no repertoire and was little accepted even by the avant garde of the time ( even Mager’s close circle of friends Hába, Wischnegradsky and Stein never realised their promises to compose for the instruments) and on the other, the fact that the instruments were in continual development, unstable and never completely finished making it difficult to become anything more than an interesting curiosity. MAGER Jörg: Eine neue Epoche der Musik durch Radio, Berlin-Neukölln 1924. : Vierteltonmusik, Aschaffenburg . I’m pretty sure the instrument Haba is playing in that photo is not anything of Mager’s– more likely a microtonal organ of some kind (though I’m curious where the attribution comes from). 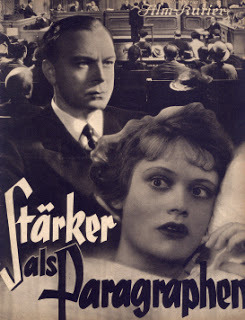 Also, the name of the film in which Mager’s instruments were used for the soundtrack is “Stärker als Paragraphen.” I’ve tried to locate a copy of it but to no avail. Ferruci Bussoni is wrong! Correct: Ferruccio Busoni!